This mod, offers users some more than interesting alternatives of use that we will comment below. 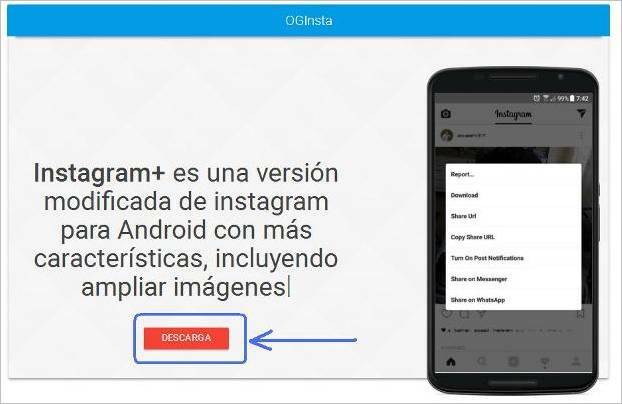 But before continuing, you have to know that to install Instagram+, it is necessary not to have the official version of the application installed. 1 What can we do with Instagram Plus? 2 How to download and install Instagram+? What can we do with Instagram Plus? With OG Instagram, for example, we can zoom in on any photo just by clicking twice on it. And even more zoom can be done by “pinching” the image, or scrolling through the photo if you slide your finger over the screen. Other than that, we can download any photo or share the link to that photo by clicking only on it. You may also be interested in: How to Create my Instagram Best Nine? Another very interesting configuration option in Instagram Plus is that you can activate the default sound in videos. Thus, the instant we go through a video, he will begin to hear himself. Instagram+ is a very interesting alternative client, and that really offers us more services than the official Instagram app. It even seems to have no problems of instability, so it is a very suitable option for any user of the popular social network of photos. You can label people very quickly and easily. How to download and install Instagram+? 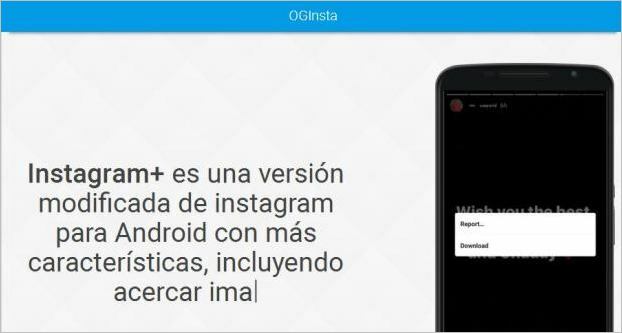 Well, let’s go to what we are interested in, let’s take a step-by-step look at how to download and install Instagram+ for free (a curiosity, some people search Google: download pluss or install plus). 1. We access the OGMods website, the site of applications modified for Android, and we go to the OGInsta+ tab (on the top menu bar). 2. You will see the next section, and then click the red “DOWNLOAD” button. 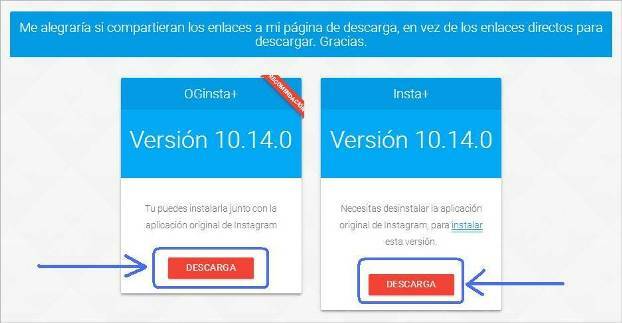 Download OGInsta+ version 10.14.0, and install it together with the original version of Instagram. Download Insta+ version 10.14.0, and uninstall the original (important) version of Instagram to install this version. In either of the two options, in turn you will have 2 download links, two direct from the OGmods website itself, and two direct from MediaFire. 4. The next step will be to download and install these. apk files, important, before installing these files, you must go to the “Settings” of your smarphone, section of “Security”, and activate the option “Apps of unknown origin”, which allows us to install unofficial applications. And that’s it! You would already have OGInsta+ or Insta+ installed, being able to use Instagram normally but with the options of being able to download photos and videos, share urls directly, etc.